"Born to Raise Hell" Hell No! " 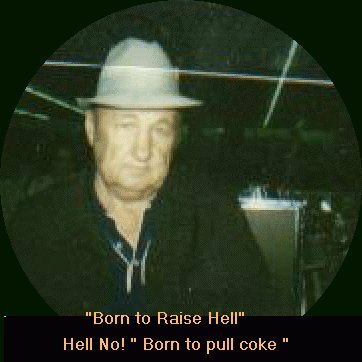 Born to pull coke " in the Appalachian Mountains of Richwood, West Virginia. I work at the Coke ovens,Saxman,WV., and they were built in the early 1900's in what became known as Coke Oven Hollow of Richwood WV. The ovens were used to burn coal down into a more efficient industrial fuel called coke. Coke burning involved hard labor in extremely hot temperatures. I preferred to do this work it was less dangerous then working in a mine. The smoke, and dirt from the ovens settled in the hollow, making it an undesirable location for most residents, but it became home to a few. No one can forget the fires of the Saxman Coke Ovens. My favorite song was SIXTEEN TONS by MERLE TRAVIS (1946) and TENNESSEE ERNIE FORD'S VERSION of SIXTEEN TONS (1954). Saxman, West Virginia, was a small coal town in a little valley near Richwood, West Virginia. saxmanwv webpage and the great pictures of the Coke Ovens and local areas.??? I guess All good things come to an end. The only reamins of Saxman now a old cement pillars where some building rested on.